CNN Supporting North Korea v Trump? While Kim Jong Un has met his match when it comes to rhetoric and CNN is doing its best for blaming Trump, despite Kim saying that Trump was “driving the situation on the Korean peninsula to the brink of a nuclear war” with his continued rhetoric, it seems curious why CNN is taking Kim’s side. It is true that Trump has maintained a strong posture but world leaders always boast and hurl rhetoric for that is preaching to their own people. The more dangerous issue is Kim has nothing to stand upon. If he launches four missiles toward Guam as a show of force, he risks the embarrassment of what if the US can shoot down a missile that would take just 17 minutes to reach its target? 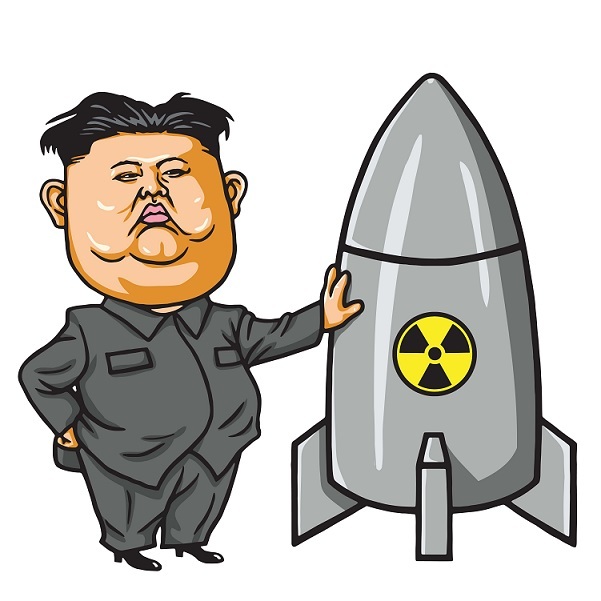 The whole Star Wars project put in place by Ronald Reagan against which the Democrats voted claiming it was stupid, could be vindicated here in a major way and that would demonstrate to the people of North Korea that Kim’s ICBMs would not be able to really threaten the world. He would suddenly appear to be weak and vulnerable. CNN is just bashing Trump and will blame him for everything. That seems to be their agenda and thereby CNN has already taken sides supporting North Korea. Their hatred of Trump clearly knows no limits. I took the time to watch Anderson Cooper who has a panel that is a real joke stacked 5:1 against Trump and then they have the audacity to claim they are the “most trusted news source” is the real rhetoric. Both China and Russia are desperately trying to intervene to cut a deal. Trump will NOT use nuclear weapons on North Korea for it is too close to China and Russia who both border with North Korea. CNN is distorting the issues desperately and this is really dangerous. Bashing Trump constantly can send a false signal to Kim that he is the hero here. It is CNN that is seen internationally and there in lies the entire problem for they can instigate war. This constant CNN rhetoric that Trump means nuclear war is very dangerous. They are totally being irresponsible here trying to push the world to the brink if not give it one last swift kick over the cliff to get their ratings even higher. Trump has said that “Military solutions are now fully in place, locked and loaded, should North Korea act unwisely. Hopefully Kim Jong Un will find another path!” His statement of “fire and fury like the world has never seen” is again not a reference to exclusively nuclear weapons. The US has massive conventional bombs that can devastate North Korea without nukes. The US dropped what is called the “mother of all bombs” in Afghanistan a few months ago. The “options” are significant short of nuclear weapons and the US is restrained from using nukes by both the proximity of China and Russia. It is CNN who is distorting everything for local ratings and they have become a very dangerous organization who is far more capable of starting war as was Pulitzer and Hearst than anyone else in history since their viewership is worldwide.